In 6 days I will make that giant leap: leaving the U.S. for the first time. My eVisa is in my inbox. My passport is packed and ready. Suitcase… eh…. working on it. Rather short update: my University posted a lovely article about my trip to COP and I am over the moon! Back to packing, I’ve been deliberating what to and not to pack. I want to enter this new community (the world!) in the most intentional way possible! 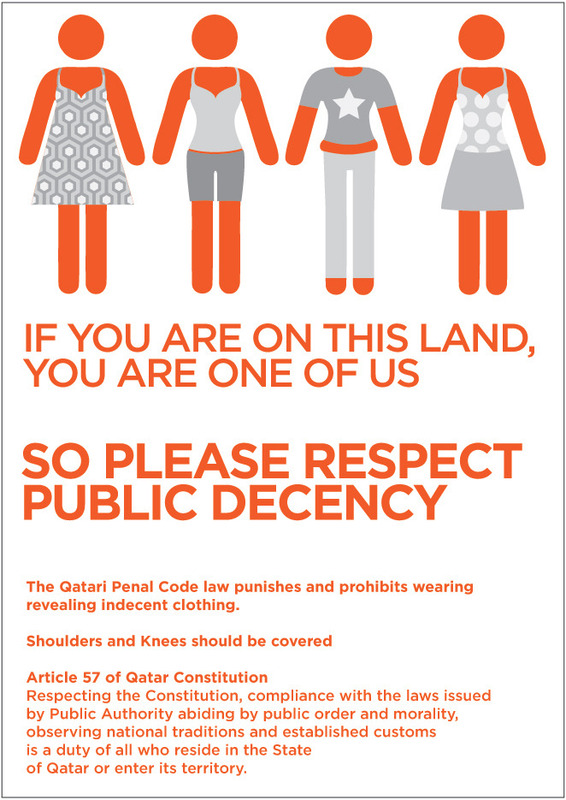 Doha citizens have started a campaign called “One of Us” to educate visitors of acceptable garb to wear in public spaces in the city. Luckily, I’m a suitcase half-full kind of girl and am more than happy to throw a sweater over the majority of my outfits. The issue, however, may be covering the knees of a female towering at 5’8″. My hope is that all other delegate will have the same amount of respect and excitement in learning how to enter this new and stimulating environment in the most intentional way possible! Next up: POLICY UPDATE!! Until later, Aloha, Doha!